Currently, there are several solutions for implementing full-text search. 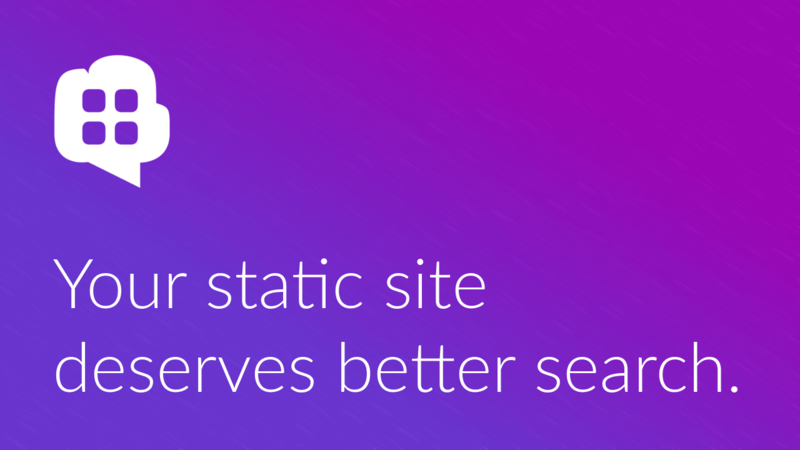 Depending on the time and money you are willing to spend, you could either host your own search server, like Elasticsearch or Solr, or pay for a service like Algolia. Now, for something as simple as a blog with ten articles in it, paying for servers or a monthly subscription fee is a bit excessive. This is where Para comes in — our flexible, open-source backend service. It’s absolutely free for developers and the search functionality inside of it is powered by Elasticsearch — sweet! Now you can see all the options by typing para-cli in the console. There are several basic commands for reading, writing and deleting objects and one for search. For now, we’re only interested in the create command. Go over to ParaIO.com and sign in to get a free account, if you don’t have one already. Next, we’ll create a new app where we can store our blog posts. If you already have an existing app with some objects in it, you can still fit in the content of your site by using objects of a different type, like blogpost. Take a note of your Para access and secret keys, we’ll need them for our CLI tool. Now it’s time to gather our HTML files and send them to Para for indexing. $ para-cli search "some keyword" --accessKey "app:myapp" --secretKey "[key]"
The search box in our case is implemented with good old jQuery and a plugin called typehead.js. The code is very simple — it calls the search API and queries objects of type blogpost. The results are in the form of a JSON object with several properties but we’re only interested in the objects found so we transform it into an Array. Finally we add some CSS styling to make our widget look good. Some of these classes are typehead.js specific but can also be modified. That’s it! You can try out the finished thing at the top of this page, above the title. We chose jQuery just because it was already included in our HTML code but you can just as easily achieve the same result with other JS frameworks like Angular or React. If you liked this post, you can also follow us on Twitter or chat with us on Gitter.